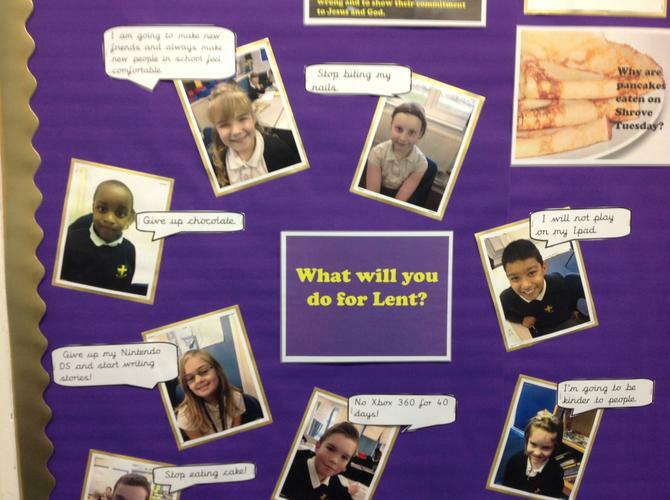 February is the time of year when we think about Lent. Lent is a time when Christians remember a time of preparation that Jesus went though. During Collective Worship we thought about the importance of being prepared for things that we need to do e.g going on holiday or taking part in a school play, and how, if we don't prepare, things may not go according to plan. We then found out about Jesus going into the desert for 40 days and nights to prepare himself for the work of teaching people about God. During the 40 days Jesus he didn't eat and drink anything or give into the temptation to do things that he knew were wrong. At the end of the 40 days, Jesus knew he was prepared to deliver God's word. 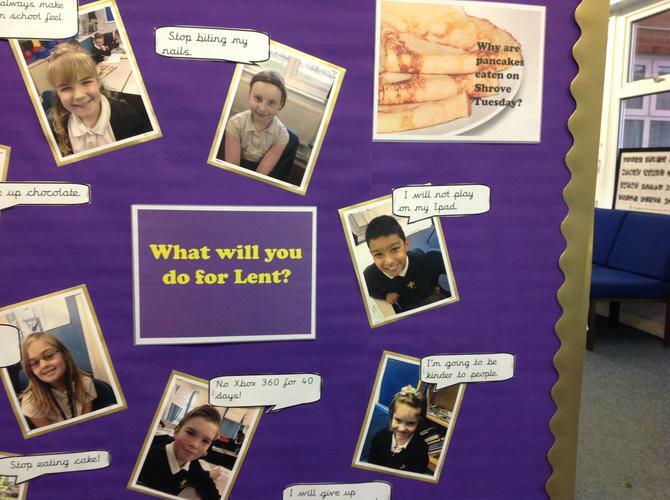 We then thought about Shrove Tuesday (the day before Lent begins) and why we have pancakes. 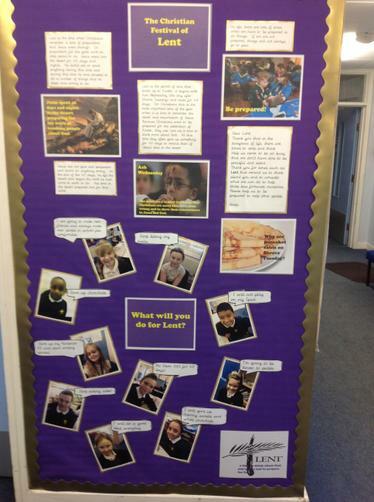 We learned about Ash Wednesday and how the ash symbolises the things they are sorry for and their commitment to God and Jesus. 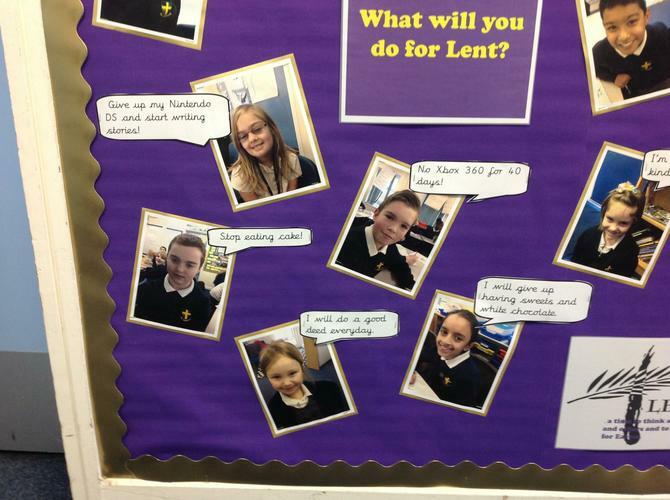 As part of Lent, Christians often give up something for 40 days. During the week we have been sharing our own ideas about what we will be giving up.